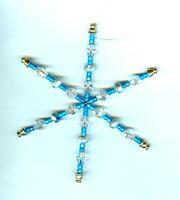 Take one look at this hand beaded glass tree ornament, and find yourself in the mood for the Ho- Ho- Holidays. 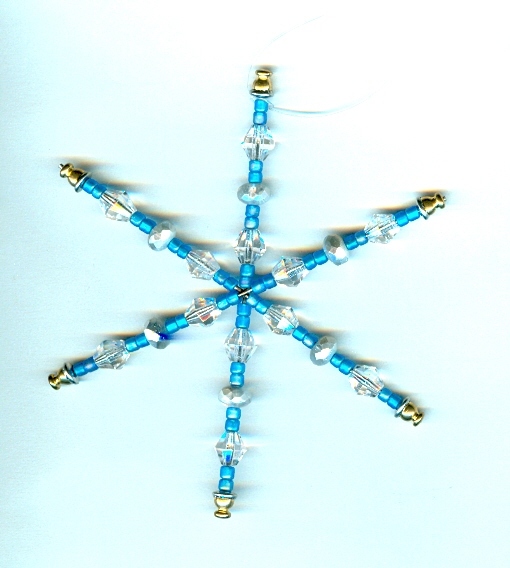 Each of the tree ornament's six arms is threaded with glowing teal blue seed beads and faceted glass beads. The tree ornament measures about 3-3/4" in diameter. Hang it from your Christmas tree, or from your car?s rear view mirror; use the tree ornament to top a gift package, or hang it in a window and watch it play with the sunlight. Use the tree ornament to brighten your own or someone else?s Holiday season ? and be sure to check out all our other Holiday-themed tree ornaments at SPARKLE PLENTY.